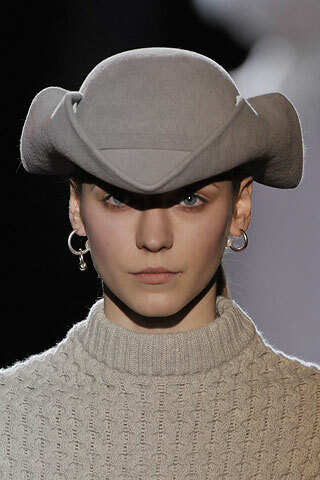 I don't know about y'all, but I love me some Marc Jacobs. 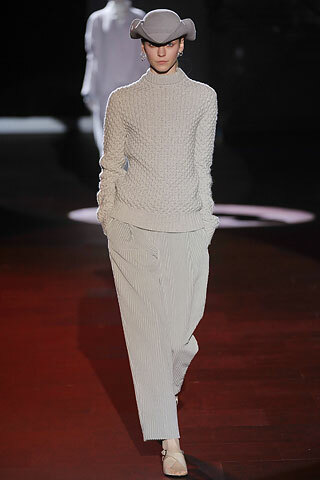 Here's a pretty sweater from his Fall 2008 Ready to Wear collection. 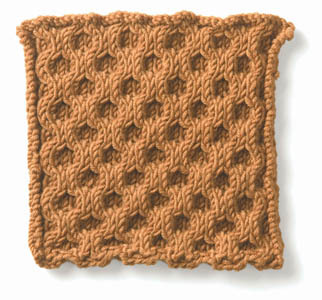 Oh look, here is that honeycomb stitch pattern! 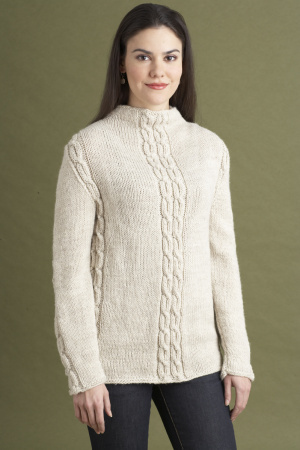 Now, to find a suitable sweater pattern to hack... This could work. All one would have to do is eliminate the cables, add the honeycomb stitch pattern all over and change the collar & hem to have ribbing. Here's another MJ sweater I like. Chunky & raglan, yum! I could really see myself making this one. I'm a sucker for chunky fast knits. Here's the pattern I'd hack for it. *All the pics that are NOT Marc Jacobs are all from www.lionbrand.com. HEE-HEE. Lion's Brand really needs to hire you!